omniPETTE Multi-Channel Pi­pettes allow com­fort­able pipetting by both right and left handed users. 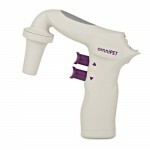 The plunger and ejector buttons are er­go­nom­i­cal­ly located and op­er­ate smoothly. 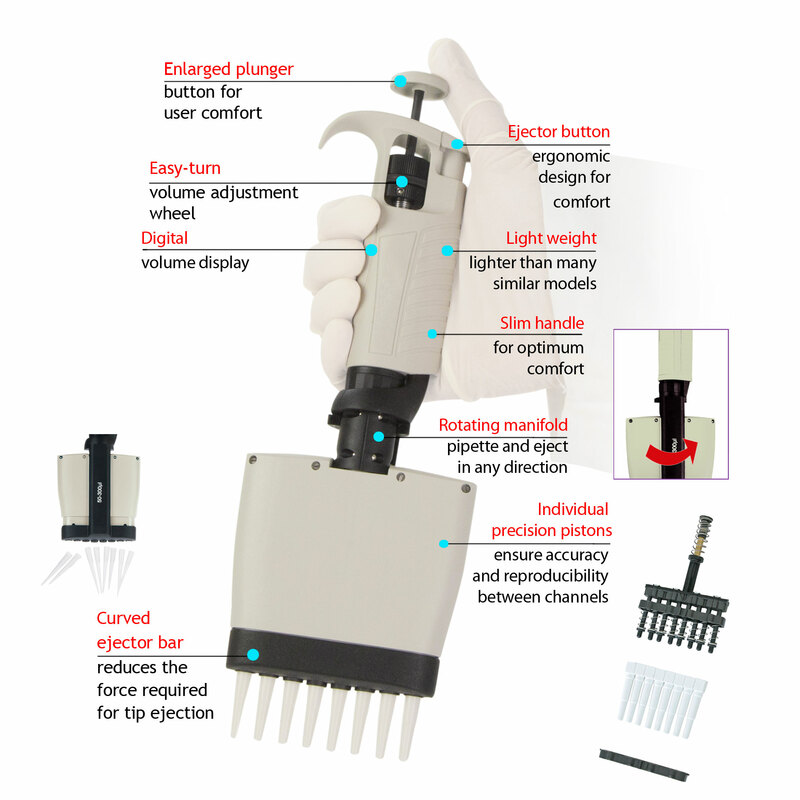 For com­fort­able pipetting in any direction, the tip manifold rotates 360º. Each model features a revolutionary suspension system which allows the shafts to move independently and so retract slightly when they are pressed against a row of pipette tips.This ensures that all tips secured on their individual shaft with the minimum of effort – and never fall off! 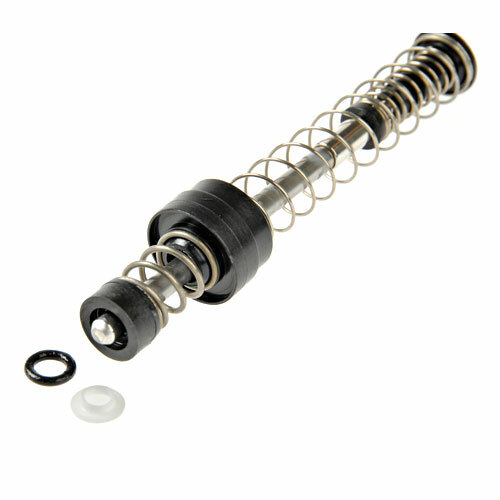 In addition, an innova­tive ejector bar is curved, allow­ing the tips to be pushed off in steps, there­fore re­duc­ing the amount of force re­quired for ejec­tion. 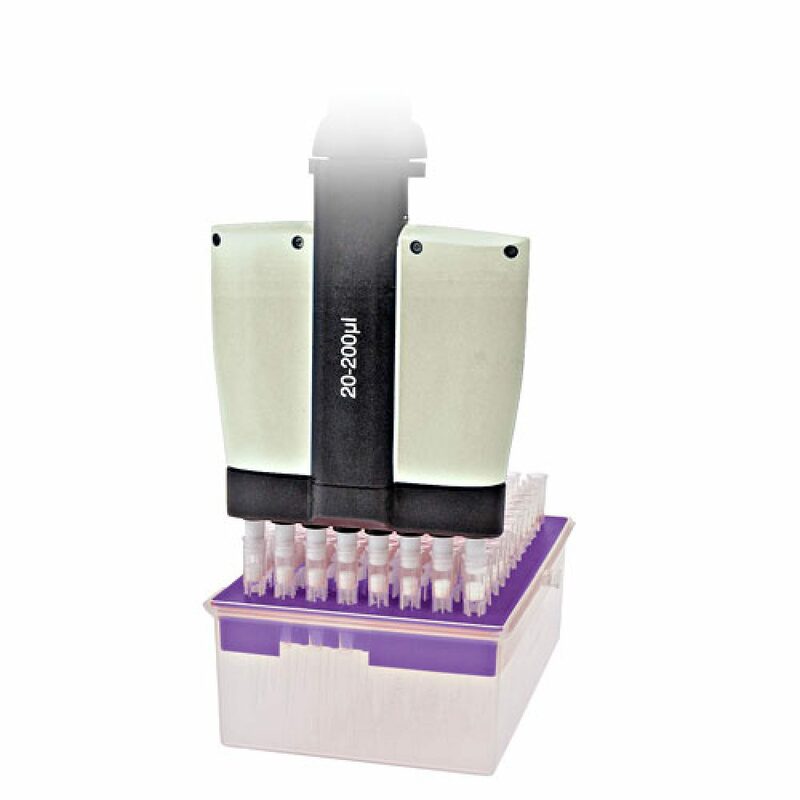 The use of ad­vanced, light­weight ma­te­ri­als (in both the body of the pipette and the piston assemblies) results in a pipette that will stand up to constant use, yet is easy to hold, even during ex­tend­ed pipetting sessions. 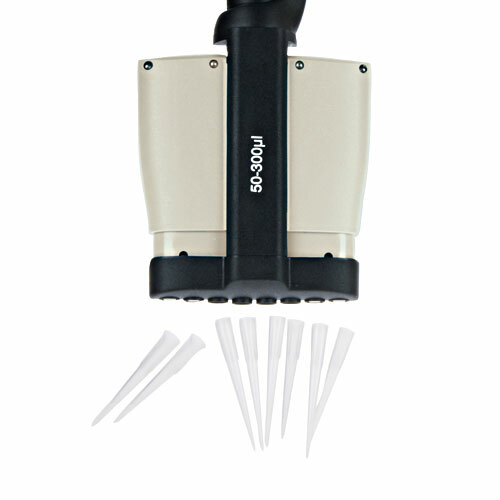 Each channel of the pipette has an in­di­vid­u­al, precision piston assembly to ensure accuracy and re­pro­duc­ibil­ity from one pipetting series to the next, as well as between chan­nels. 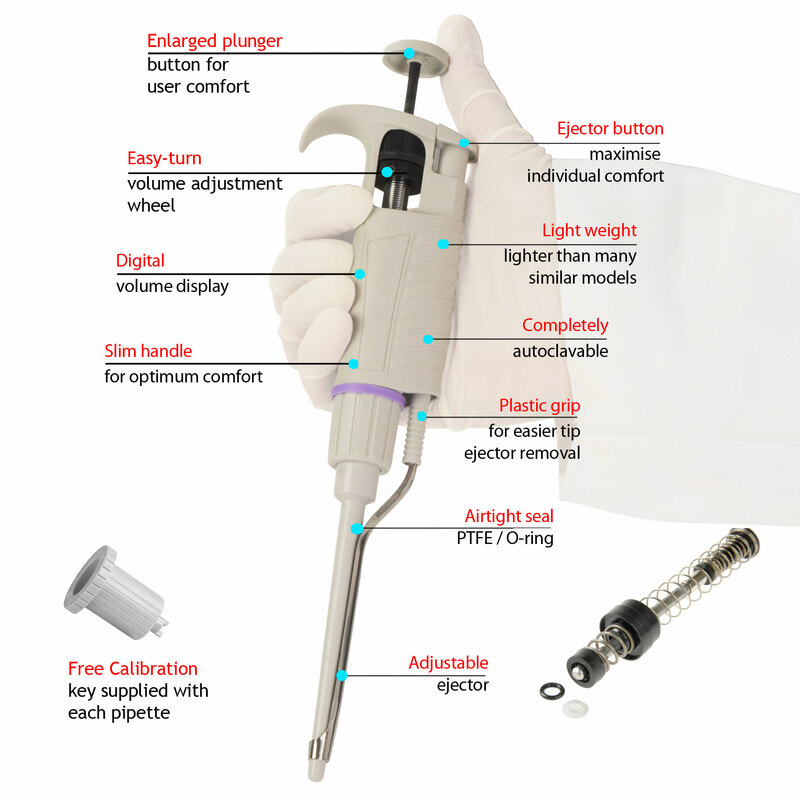 The micrometer is con­tin­u­ous­ly ad­just­able for selection of whole or frac­tion­al vol­umes. 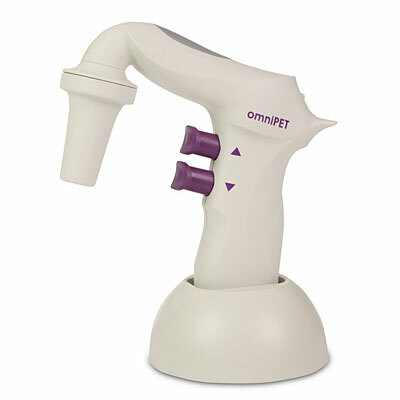 omniPETTE Multi-Chan­nel Pi­pettes are avail­able in 8 and 12 channel models. Four overlapping volume ranges are provided to pre­cise­ly meet liquid han­dling re­quire­ments from 1.0 to 300µl. The performance of every pipette is checked by gravimetric method and the results of test are printed in pipette Quality Control Certificate. 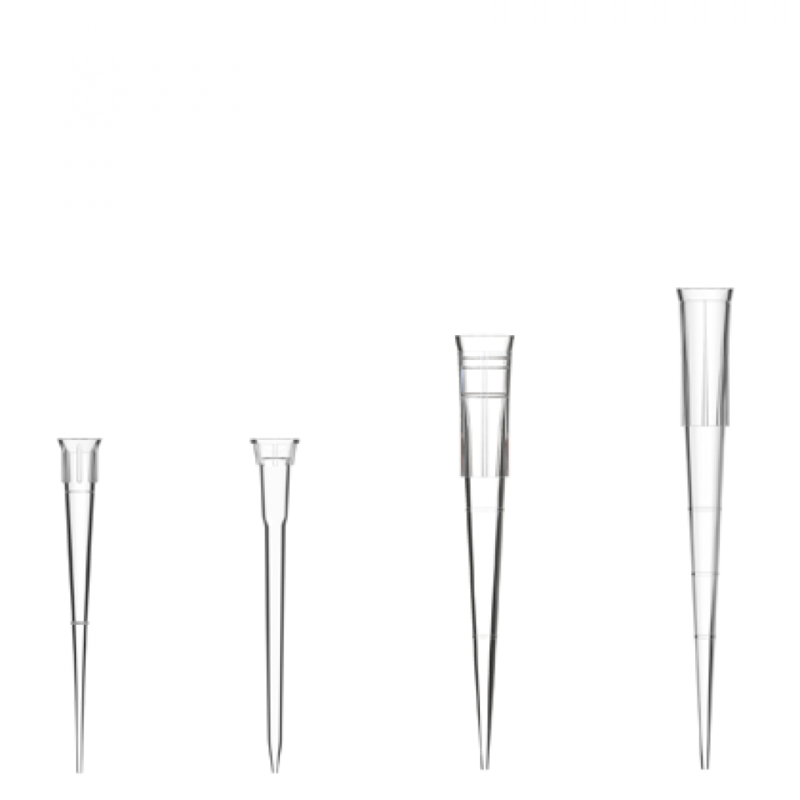 BioPointe Scientific universal-fitting, filtered or non-filtered pipette tips, available in both regular polypropylene and the company’s innovative Low Retention material are the perfect companion for omniPETTE and other popular pipettes. 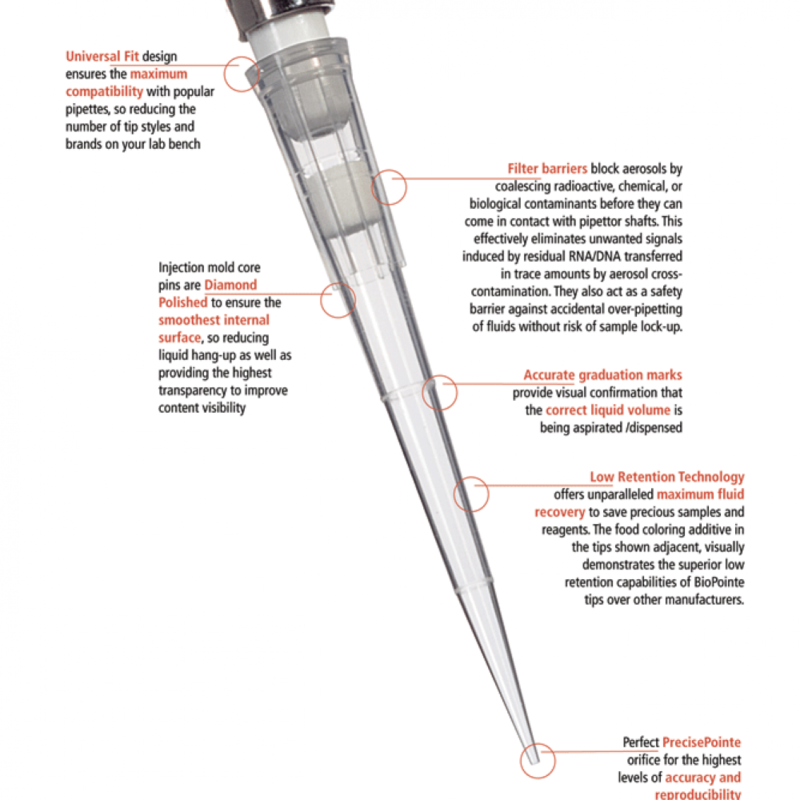 BioPointe tips deliver maximum accuracy and reproducibility when pipetting liquid in microvolumes, resulting in superior pipette tip performance. 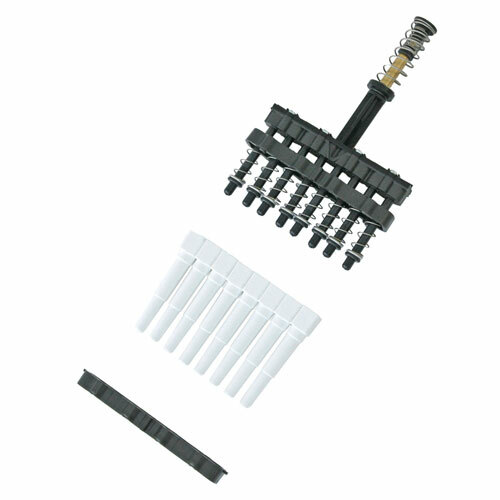 They are available in Bulk bags, racked or reload format. 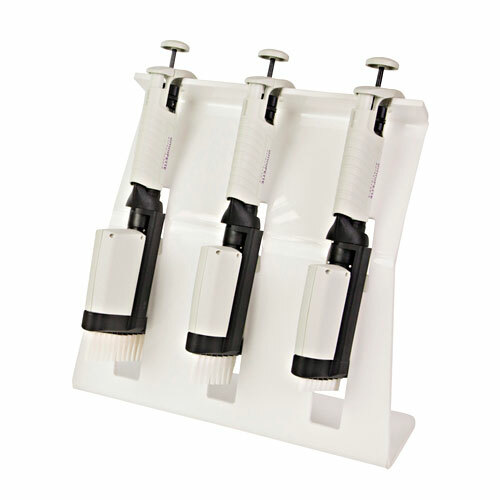 CV-1POS 1 Position Stand for Single or MC pipette.